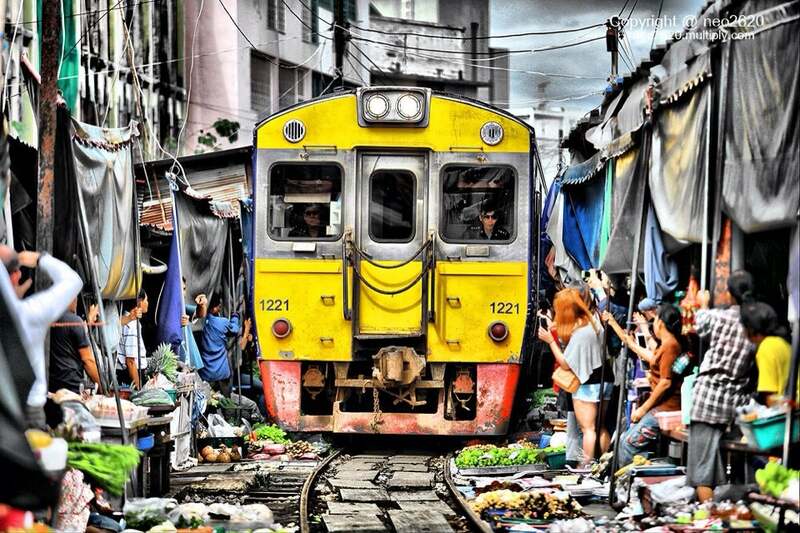 Why Maeklong Railway Market is special ? Maeklong Railway Market means the "umbrella pulldown market". It is a very popular market with the locals and is open everyday to supply everyone with their daily needs. Whenever a train approaches, the awnings and shop fronts are moved back from the rails, to be replaced once the train has passed. 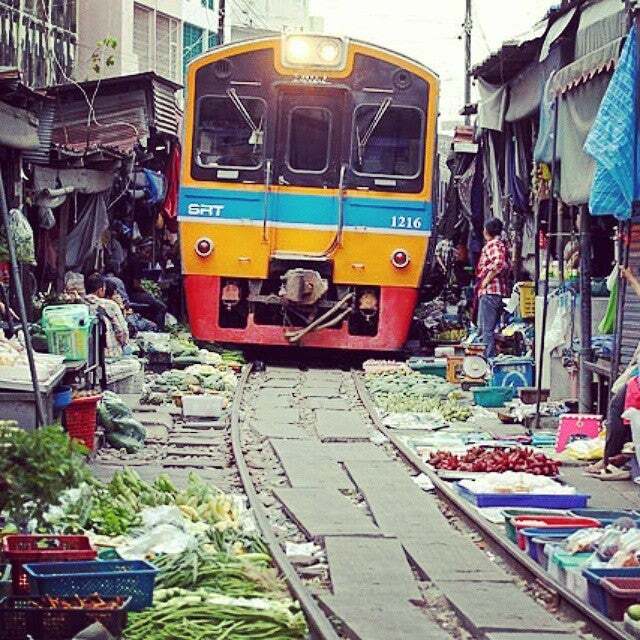 How to get to Maeklong Railway Market? By minibus: Take BTS train to Victory monument, take Minibus to Maeklong. The minibus drop you on the main road, you have to ask the locals and find the way to market. By train: depart from Wongwian Yai Station on Maeklong Line - get off at Mahachai station. Find your way to Mahachai pier and take ferry to Chalom pier. Catch the train from Ban Laem Station and you will arrive at Maeklong Railway Station. If you have extra time, do walk along the market through the railway, to see their culture, lifestyle and what they sell. With this market you need to make sure that you are there to see the train go through to the station or when it leaves. Most vendors do not understand English and hardly any sign boards/menus in English. So it's quite difficult to buy things from them. While the train appears slowly, do be careful when standing next to the track and make sure that there are sufficient clearance in between. It's near the floating market, it's better you visit the floating market first then proceed to railway market. Parking space at the market is limited. 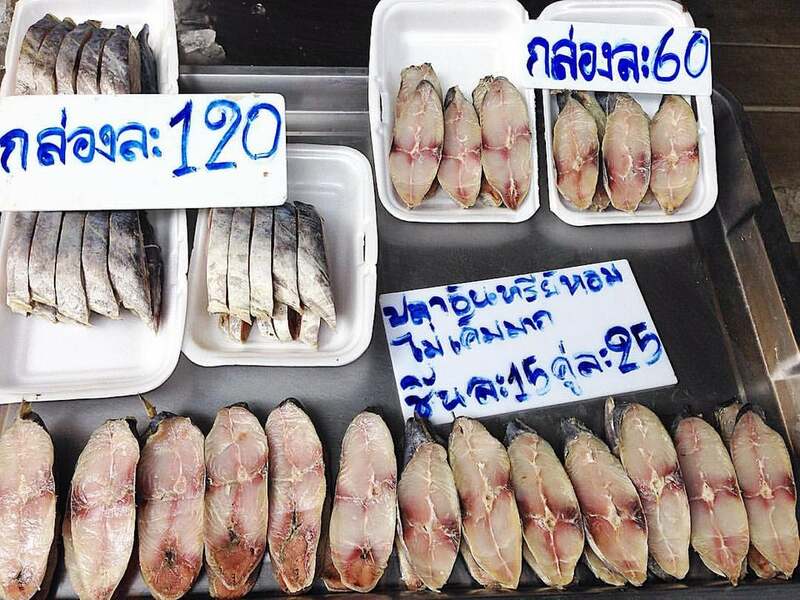 Try parking on the other side of Maeklong river and board a ferry to visit the market. Be there before 830am to see the train arriving its last stop. This gives you opportunity to be inside the train. The train then departs at 9am from the same way it arrives. This way you can spectate the market movements twice. Remember to rush out onto the railway right after the train passes you. Oh and video mode is highly advised. There is a popcorn seller (10baht per bag) at the end of the train station. taste as good as those found in cinemas. 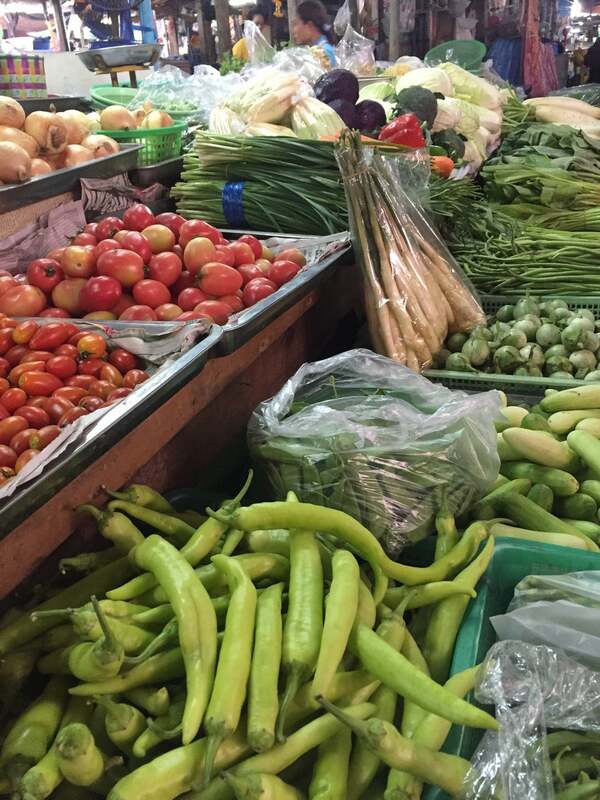 fruits, vegetable, clothings sold at the market are way way cheaper. :) To get here, I recommend "rat service" by Natee Kantapiyo. Google it up. Went in the afternoon and witness the 1.45pm train arriving. Less crowd on weekday afternoon, better for photo opportunity. After half hour the train will depart, that is another photo opportunity.